Dave Walden's juggling publications, etc. For several years I was very involved with juggling and the International Jugglers Association. I was editor of the IJA Newsletter in the years 1976-78. All of the links below go to PDF files. On Your Own Time column, December 17, 1979 issue of Fortune magazine. I was interviewed for the column and appear in one of the photos (left end of the feed at the top of page 26). The original version is posted at http://ezine.juggle.org/2012/01/17/remembering-the-ija-newsletter-circa-1976-78/. IJA Newsletter, August-September 1976, vol. 28, no. 6. IJA Newsletter, October-November 1976, vol. 28, no. 7. IJA Newletter, December 1976, vol. 28, no. 8. Annual member roster plus one news item. IJA Newsletter, January-February 1977, vol. 29, no. 1. IJA Newsletter, March-April 1977, vol. 29, no. 2. IJA Newsletter, May 1977, vol. 29, no. 3. IJA Newsletter, June-July 1977, vol. 29, no. 4. IJA Newsletter, August-September 1977, vol. 29, no. 5. IJA Newsletter, October-November 1977, vol. 29, no. 6. IJA Newsletter, December 1977, vol. 29, no. 7. Annual membership application and member roster. IJA Newsletter, January-February 1978, vol. 30, no. 1. IJA Newsletter, March-April 1978, vol. 30, no. 2. IJA Newsletter, May 1978, vol. 30, no. 3. IJA Newsletter, June-July 1978, vol. 30, no. 4. 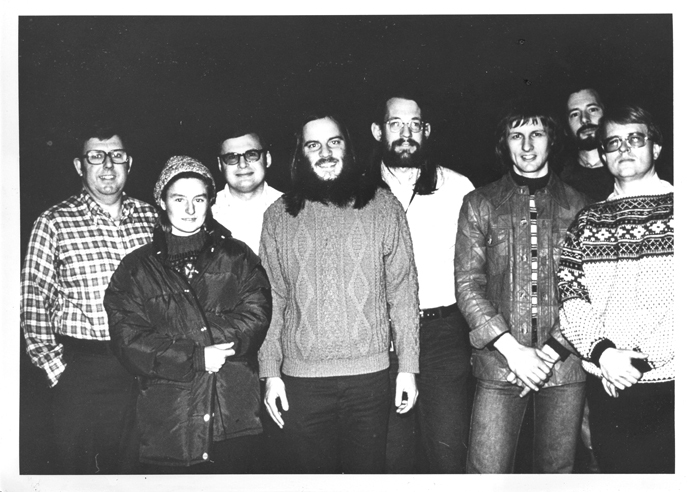 December 1977, with Ignatov at Russian circus in Hartford, CT (photo by Roger Dollarhide). 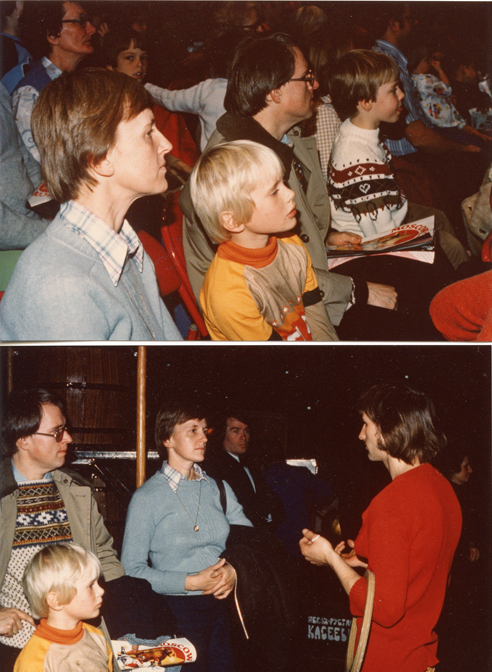 December 1977, watching and talking with Ignatov (photos by Roger Dollarhide).